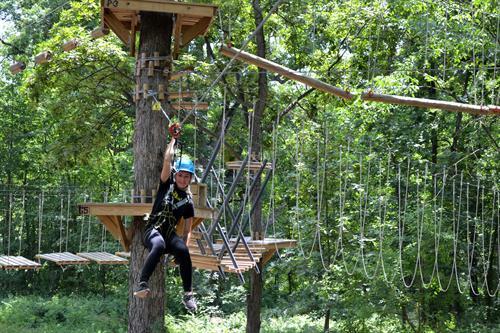 Aerial adventure park, zip line courses, high ropes courses, group outings, team building. 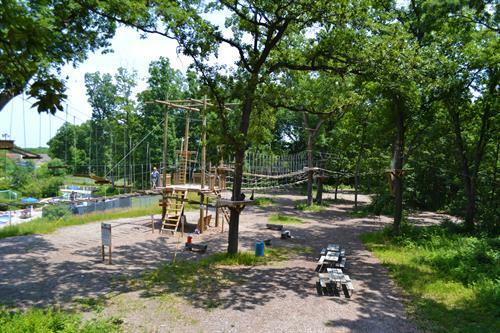 It features over 50 challenging treetop obstacles and zip lines that provide thrills for everyone at every skill level. It also features our FIRST Kid's Park, with elements closer to the ground design for 4 yrs old and up to enjoy!